Tobacco has been used from ancient times in the Americas, primarily by smoking or chewing. The use of tobacco has been linked to numerous health problems linked to the way that it is used...here we will only be considering its primary method of use: smoking. 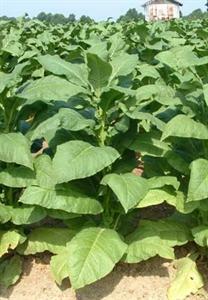 Smoking involves burning the dried (cured) leaves of the tobacco plant and inhaling the resulting smoke. Tobacco can be smoked in a pipe, or it can be rolled in a wrapper made from whole tobacco leaves (a cigar) or made from paper (a cigarette). Tobacco smoke has many detrimental effects on the body mainly due to the numerous chemical compounds produced during burning. The reason for smoking is simple, the intake of nicotine. 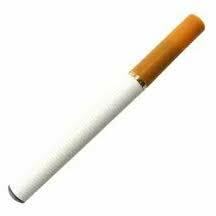 Nicotine, is a mild stimulant and, according to current medical thinking, more than mildly addictive. The effects of nicotine in the body are still being studied, but include increased heart rate and blood pressure. The fact that nicotine alone apparently has less health risks than smoking tobacco leaves, led a Beijing pharmacist, Hon Lik, to invent an electronic device that would simulate smoking and deliver nicotine into the body without burning tobacco. His invention in commonly known as an electronic cigarette or simply an "E-cig". As there is no combustion (burning) in an E-cig, using one cannot be considered "smoking", a new word, "vaping" is the common term for using an E-cig due to the vapor that is produced. Those in the vaping community commonly refer to traditional cigarettes as "analog cigarettes" or simply "analogs". E-cigs come in many forms, but, for the most part, they function the same. There is a power source, an atomizer and a liquid containing nicotine and flavorings. The liquid, known as E-liquid, E-juice or simply Juice, is applied to the atomizer which is heated using the power source causing the liquid to vaporize. This vapor is inhaled and the nicotine enters the body through the lungs. Automatic E-cig designed to resemble an "analog" cigarette. The differences among the various styles of E-cigs come from design of the power source and how it is activated (generally referred to as "automatic" or "manual"), the design of the atomizer and the method of applying the E-liquid to the atomizer. As with any electronic device, the power source is of great importance. In most cases, E-cigs rely on a "battery" to supply electric current to the atomizer, though there are units that must be powered from an external power source, they must be "plugged in" to a wall outlet or even the USB port on your computer. The electric current is sent to the atomizer when a switch is activated. This switch can be internal to the device and activated when the user draws or puffs on the device. This style is called "automatic". Most quality devices have a button style switch that the user must press to activate; this style is called "manual". A manual E-cig can be identified by a button or switch for activation. Upon activation of the switch an electronic current is allowed to flow through an atomizer to create heat. Atomizers, also, come in different designs. One of the major differences in designs is in the resistance of the atomizers. Lower resistance atomizers allow more current to pass through and provide a thicker, richer vapor. Of course, using more current depletes the battery faster, but most in the "vaping" community would rather have the more satisfying vapor and have to recharge their batteries more frequently. 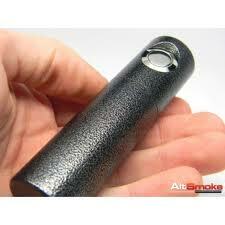 This is the Silver Bullet "mod" from AltSmoke. Some, however, find this trade-off unacceptable, and numerous modified E-cigs, or simply "mods" (sometimes referred to as "personal vaporizers or PVs) are available on the market that have much more powerful power supplies that provide satisfying vapor and excellent battery life. More on mods later. To get the E-liquid to the heating element of the atomizer many methods have been devised. There are cartridges filled with a fibrous material that is saturated with Juice which are attached to the atomizer and rely on wicking to draw the E-juice into the atomizer. There is also a combination cartridge-atomizer, known as a "cartomizer" in which the cartridge and atomizer are in the same component. Another popular method of introducing E-liquid into the atomizer involves dripping drops of liquid directly into it, this method goes by the creative name "direct dripping" or simply "dripping". Recently, tank systems have been devised that can hold more E-juice and either keep a cartridge or cartomizer saturated or allow the juice to enter the atomizer in some other controlled fashion. The last part of the E-cig that will be discussed in this post is the E-liquid. This is the most important part as it delivers the nicotine. E-juice comes in countless varieties, but can most easily be classified by nicotine level and the base used to create the juice. Nicotine levels can range from nil to very strong. Nicotine strength is usually given as a percent or in milligrams (mg). There are E-liquids that range from 0 mg up to 36 mg and higher. It has been my experience that juices higher than 36 mg are generally unflavored and are used in making custom E-liquids. I have found that an 18 mg solution seems to equate to somewhere between the strength of a light and an ultra-light analog cigarette. While the strength of the nicotine will play a role in the level of enjoyment a user gets from their E-cig, what the liquid is made from is also a factor. E-liquids are made from propylene glycol (PG), vegetable glycerin (VG) or a blend of both (PG/VG). Experienced vapers seem to gravitate toward VG blends due to the thicker vapor generated. I hope this post serves as a good primer for the novice vaper or someone considering taking up vaping. What up Michael I talked to harvey he said to get in contact with you Im also a vape enthusiast & former smoker! OKC's VAPE SCENE is Blowing up! GOOD WORK check out vapedandconfused on facebook & we'd love to share some of your writings to un confuse the Vapers! Oh, I'll just start it!